At Fort Hamilton Chiropractic we love when patients share with us their feedback and comments after chiropractic care. Please read our patient testimonials below to see what other people have achieved through their tailored treatment plans with us. Share your stories too! 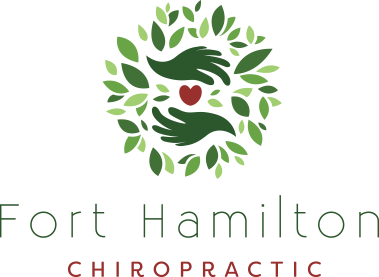 Click here to send us your feedback so that we can help to spread the word about the benefits of natural Fort Hamilton Chiropractic care. Great All around great experience! When I called, I was able to be seen 2 hours later. When I walked in the staff was great and the doctor was excellent. I highly recommend this office. Dr. Eggert was very thorough and insightful. He asked a lot of questions and really listened. Following a thorough examination and X-Ray, my neck and lower back were adjusted and pressure points were applied. I just walked out of the appointment and I literally feel like a new person! This is my first visit to a chiropractor and I couldn’t be more satisfied! I am actually looking forward to my future visits and ongoing treatment. Dr. Eggert is not only an attentive doctor but a caring and compassionate person. Thank you so much! Thank You Dr. Eggert for making me mobile again. When I came in to see you, I could not move my neck at all without pain. Just after my 1st visit I was able to move my neck side to side. 2nd visit even better! Now on my 4th visit. I am able to turn my neck a lot further. Looking forward to continuing my treatment to full recovery! Thanks again for your knowledge and superior service your practice provides. We have experienced other chiropractors and truly we cannot compare one from the other, they are all different. We don’t hold the expertise to know which one is 100% correct in all of their methods, however we can say without hesitation that the Fort Hamilton Chiropractic Office is experienced and provides the quality care and time that we have not experienced with other offices. The office visit was very educational, the doctor explained his methods thoroughly accompanied with examples, graphs, photos and test results, the packaging was informative and everything was explained to the point where we had no further questions other than when can we start! There is no sales pitching here, it is hands on, honest communication with options and no pressure. Their expertise is highly recommended to anyone that is seeking professional quality care and treatment. This is the office to go to. I am a new patient and a very happy one too! This is my first experience with a chiropractor and I have to say I am very pleased with the level of care I receive, I am ecstatic at the out come of my treatments thus far and note I could barely walk for 3 weeks prior to my first visit, the pain was unbelievable. I feel very welcomed and comfortable the minute I walk through the door. I would highly recommend Fort Hamilton Chiropractic and Dr. Richard Eggert to anyone who will listen, and believe me I haven’t stopped talking about him since our first conversation. I thought my life was going to be filled with pain but now I can see that isn’t going to be the case. Thank you Dr. Eggert for everything!